I started blogging five years ago. Wowsers... that seems so crazy! Since that time I have changed immensely. I grew into my own personal style, my perspective on fashion has changed and so has my lifestyle choices. I have evolved into the person I am and I really wouldn't change that. 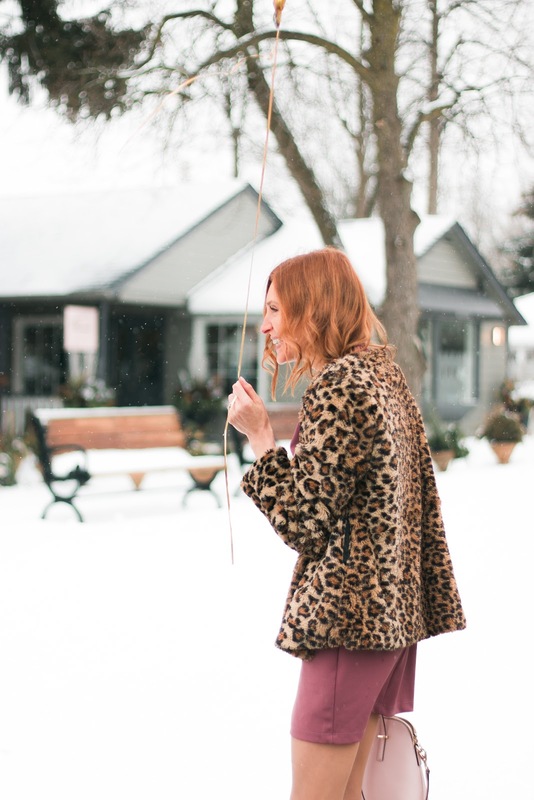 I started blogging because I wanted a space to create creatively and share and just had so many ideas! I wanted to make things beautiful, inspire others and have a place to call my own. Do you know what I mean? When your brain is just bursting with ideas and you need a place for it all. I fell in love with it all back then and this love has only gotten stronger. Now whether you blog or not, I'm sure you are aware that it isn't all rainbows and pretty pictures. But it's a path I am so, so happy I went down. The ups, the downs, the vulnerability... It's exhilarating and scary all at the same time. 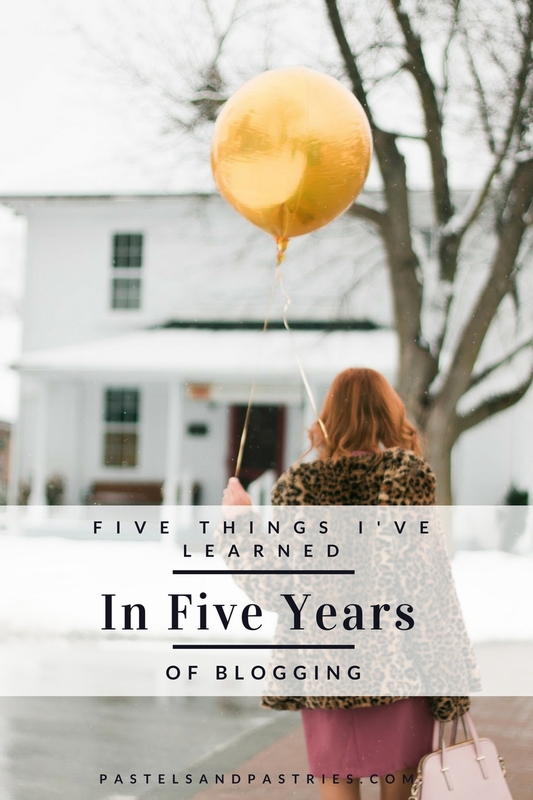 This February I am celebrating my 5th year of blogging and I wanted to share 5 important things I've learned over the years. Of course, there are tons more but these are some really important lessons I've learned to accept as truth and have really focused on embracing. 1. Let go of judgments. Everyone has their own struggles, paths and we just don't know what anyone else is going through. Judgements only hold us back from embracing love and positivity. They are usually coming from a place from within and reflect our own insecurities. After reading "Judgment Detox" by Gabrielle Berstein I've come to realize that we all judge and it is so hard to completely get rid of these thoughts. BUT just realizing that you are doing it is so powerful. Having the awareness of your thoughts allows you to turn the thoughts around and focus on the positive. It creates so much space for self-love and acceptance. One way to go about doing this, as Gabby Berstein recommends, is starting your day with the phrase: "today I will judge nothing that occurs". I have been doing this and found it works so well. I catch myself making judgments throughout the day so much more. It makes me aware and then I can change them for the better. In a world of numbers, it is so easy to get bogged down by what everyone else has, what they are doing or have done. It is so important to remember everyone grows differently and everyone has their own path. This used to affect me so much! I would get so discouraged by growth, and the lack thereof and what seemed like the impossible. I constantly try to turn these thoughts around and focus on the positive, on what I do have and where I am. Remember the real reason why you are doing this. Whenever you find yourself comparing, try your hardest to turn these thoughts around with self-talk: "no, you are doing amazing! ", "you are so powerful beyond measure". These little affirmations have the ability to alter your mindset. It may seem strange at first but I promise they work! Overall they can change your perspective. Now for some more positive lessons, right?! Don't be afraid of growth! You are changing and so will your content. And that's okay! Constantly challenge yourself to achieve new heights and try new things. I've really been trying to focus on this lately by creating more video content, starting a newsletter and just trying out new software. Sometimes we get stuck with "what works" and we forget about the other million possibilities. What if you tried something new? It could work and lead to amazing things. Or it may not and at least you tried. And then you can move on to the next incredible thing. 4. Reach out for what you want. This was something I struggled with (and still do). Knowing your worth and putting a value on yourself and your work is so important. It can be amazing if a brand reaches out to you, but sometimes you can get caught up and agree, agree, agree. It took me a while but I am now starting to ask, ask, ask! Reach out to new contacts, ask for the things you want and don't be afraid to negotiate. Remember this is a business and you can show them exactly what you can bring to the table. No one else is going to fight for you. Fight for yourself. This is probably my favourite lesson! 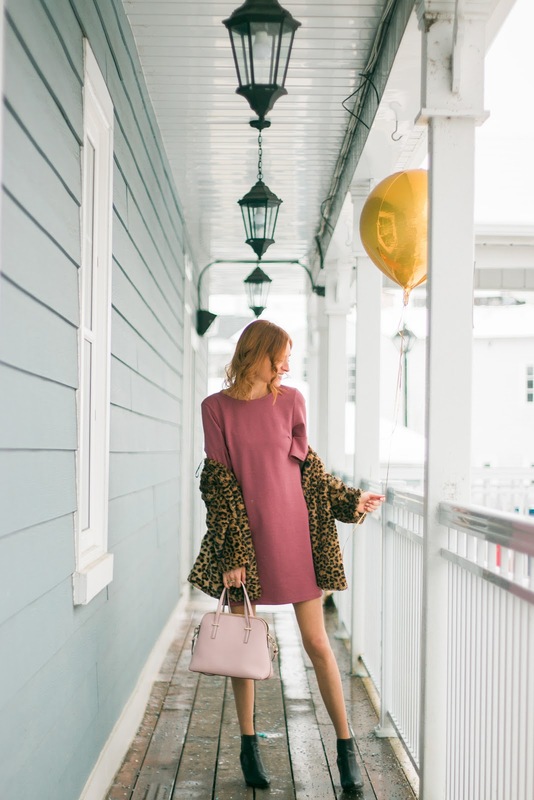 I love working with other bloggers and creatives because it is amazing what you can learn from one another and the quality of the work you can produce together. Collaborate with other creatives, share the content you love and engage with others. There are so many ways to do this! Some of my favourite posts are done with other bloggers. Not only does the content just expand to crazy new heights, but you have more value to bring to brands. Open your eyes to like-minded people and be the first person to reach out. Why not! The community is so vast and welcoming, after all, we are all in this together. Embrace it. I hope you guys can take something away from this post and resonate with it. Let me know what else you'd add to the list? On another note... Thank you. Thank you all for returning to this space and supporting me, encouraging me and engaging with me. I am so grateful for each and every comment, view, like and follow! Seriously. Now, let's celebrate! With a little leopard of course! Happy Birthday! 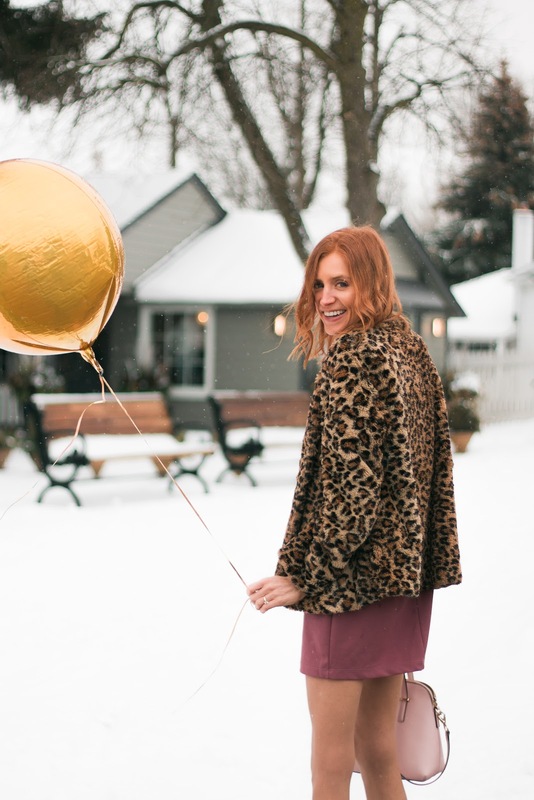 !Although you may feel like your blog hasn’t grown to its fullest potential I think it has definitely grown. We always look at numbers to recognize growth but it goes beyond that. I loved doing projects with you and I am so glad we met on that fateful day at Kate Spade.lol. 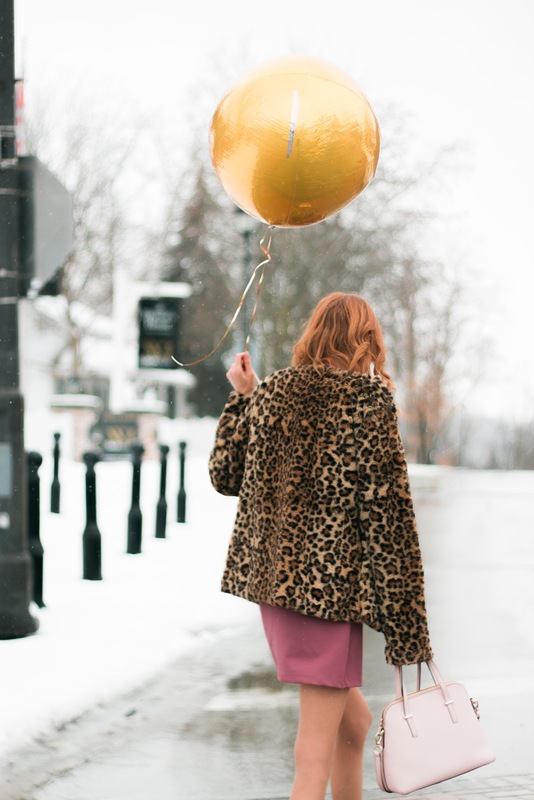 Wishing 50 more years of blog birthdays, because there will always be something to blog about!! I love all your lessons, but particularly #4! 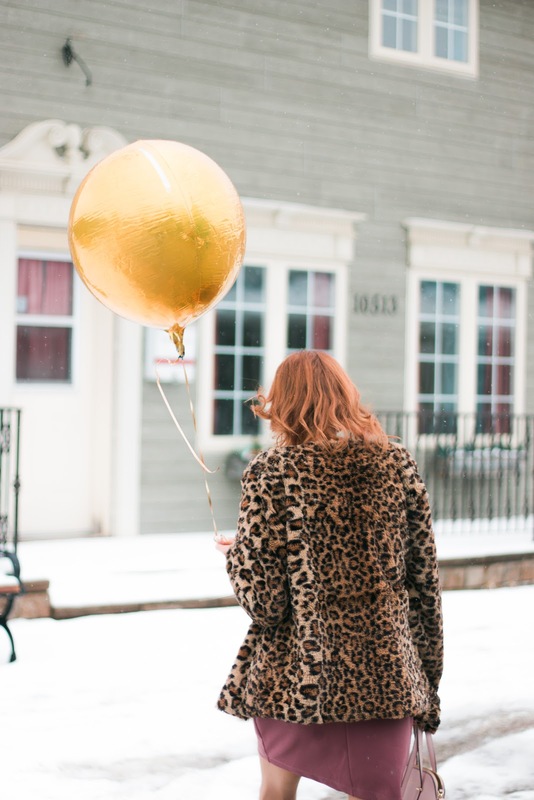 I think a lot of bloggers feel that if they have to reach out to brands they aren’t as successful. I totally disagree - you gotta ask for what you want! Hustle! 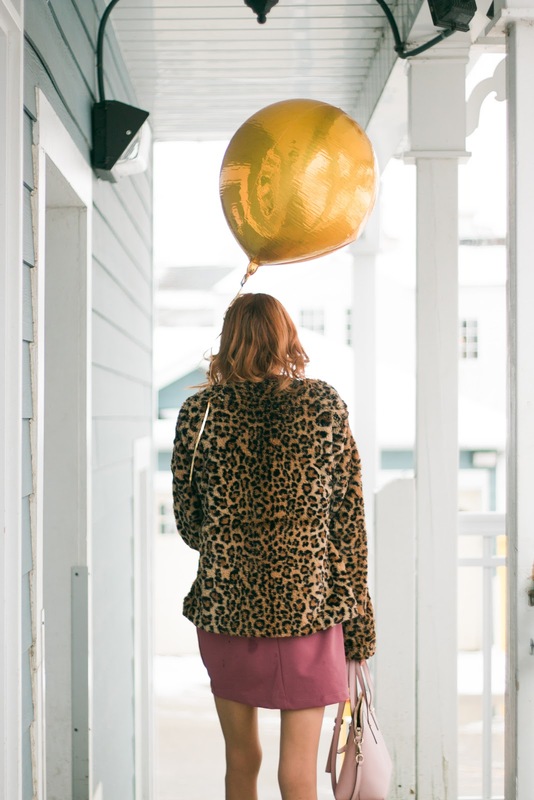 Haha :) thanks for sharing this, and happy blogiversary!